First Info Session about Green Home Pavilion RoGBC took place at the RoGBC office Thursday, March 20th . The session began with the presentation of National Real Estate Fair held by Cristina Bercea , PR & Marketing Manager. TNI is the largest fair of its kind on the Romanian market and it is offering to the visitors real estate financing solutions , eco design building , electrical echipament, home landscaping ingenious solutions , water and air filtration systems and new this year, Green Home Pavilion ( exhibition space for projects and case studies of green residential) . 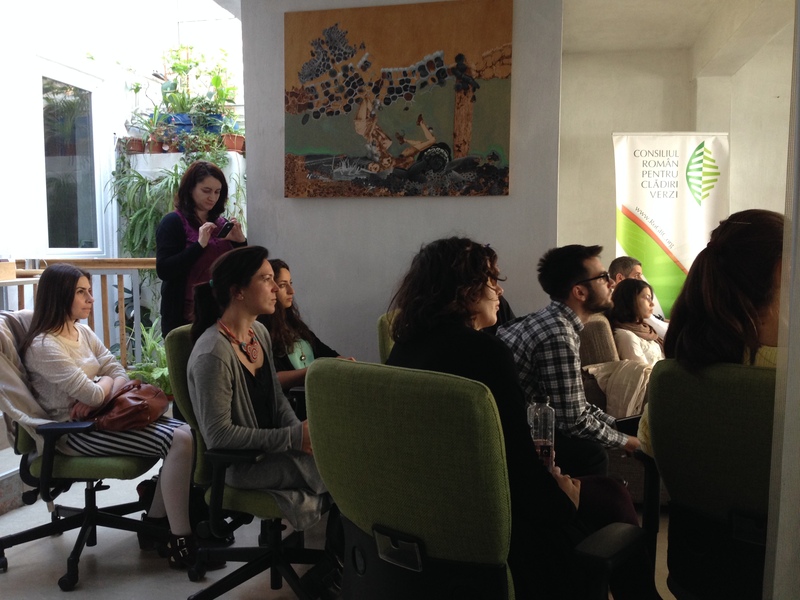 In the second part of the Info Session we had the pleasure to watch with great interest the concept and design of Green Home Pavilion made by Ina Leonte – Architect Zest Collective. In the end Monica Zarnescu, Manager Finance & Green Office Romania Green Building Council spoke with the participants about the purpose of the Green Home Pavilion, to educate and explain better the benefits of home buyers about the energy efficient and environmental responsibity . Green Home Pavilion will be a dedicated space within the TNI fair in Bucharest and provide presentations, case studies and exhibits on green technologies, traditional building solutions and ideas, and free consultations for saving money while providing healthier and higher quality homes.